A San Francisco holiday tradition in the heart of Union Square, The Safeway Holiday Ice Rink in Union Square presented by Alaska Airlines offers fun-seekers of all ages, a magical adventure. Open daily 10am to 11:30pm through January 21, 2019 with lots of special events. From families to friends, and couples to colleagues, everyone can enjoy ice skating in SF’s iconic plaza surrounded by festive lights and the sights and sounds of the season. Novices and naturals, alike, will love the outdoor ice skating experience in the middle of beautiful San Francisco. Sorry! 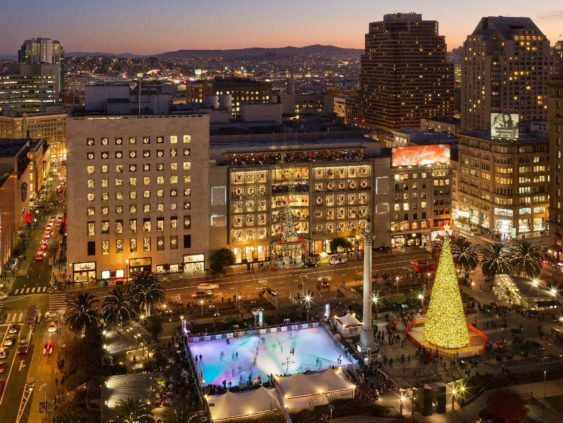 The contest for SF's Union Square Ice Rink | Open Through Jan. 21 has ended.